Does Xyrexin really work? You bet it does! 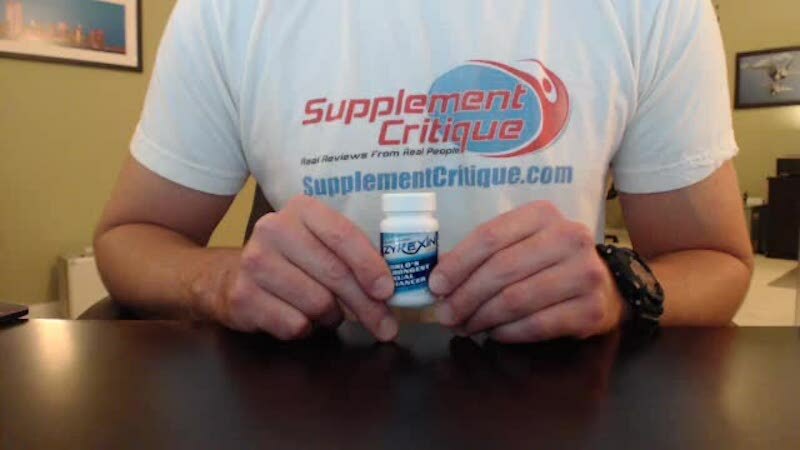 I’ve personally tested it, watch my video review and learn more about the ingredients, side effects, where to buy, my personal results, and more. Prefer to read my written Zyrexin review? Click here. And in today’s review, we’re going to be talking about Zyrexin. This is according to them, the world strongest a sexual enhancer. And if you couldn’t tell from that, and essentially it’s supposed to help as a male enhancement pill. It’s supposed to make the erect, harder, last longer and improve your overall libido. I’m gonna talk a little bit about the product first but if you’d like, you can just scroll down below this video. I have a little section called my personal results and it sort of details my experiment with it. Anyway, this product you can find pretty much everywhere, all the major retailers carry it. I know Walmart has it. A lot of the local convenience stores like, you know, CVS, Walgreens, Rite Aid, I think they carry it as well. And even in some case, you can find out like gas stations and stuff like that. The directions on the label a state that you’re supposed to take one to two capsules or tablets, one hour prior to sexual activity, and you’re not supposed to exceed four daily. The ingredients in this are basically all-natural. It has epimedium extract, Yohimbe, [INAUDIBLE 01:08] and a couple of others. The chief one being Yohimbe. Yohimbe is an extract that has been used for like hundreds of years. It’s found on a lot of different male enhancement products and it works. You can take actually take Yohimbe on its own and it will produce really good erection quality. The only downside to that is that it also produces a lot of side effects. Especially in older individuals. It’s basically a stimulant. Yohimbe, you can find it in like pre-workout supplements, you can find it in bodybuilding product, stuff like that. It’s not only used as sexual enhancer but also, you know, for those other purposes. Anyway, my personal results with this, it was actually pretty good. I popped a couple of capsules the very first time, again it’s been a long time. But I popped a couple capsules, and definitely felt the effects kind of settle in after maybe like 30, maybe 45 minutes. And yeah, there’s nothing else to say other than it gets you hard as a rock. It makes you, makes you want to bang, you know, all day long. Typically with the Yohimbe, I get a lot of side effects but I guess that the Yohimbe content in this is actually a lot less than some of the other products that I’ve tried before. So I didn’t experience anything like that but, um yeah, I would definitely rate this as one of the better all-natural, at least fast-acting male enhancement supplements out there. It’s not the best that I’ve ever used but if you’re looking for something that’s cheap, you know, easy to get, and something that’ll work very quickly, then I would definitely recommend it. And that’s pretty much all I got for Zyrexin. If you have any questions, you can leave them in the comment section below or you can just send me an email to info@supplementcritique.com and I’ll just try to get back to you as soon as I can. Alright, and I’ll be back soon with another review.